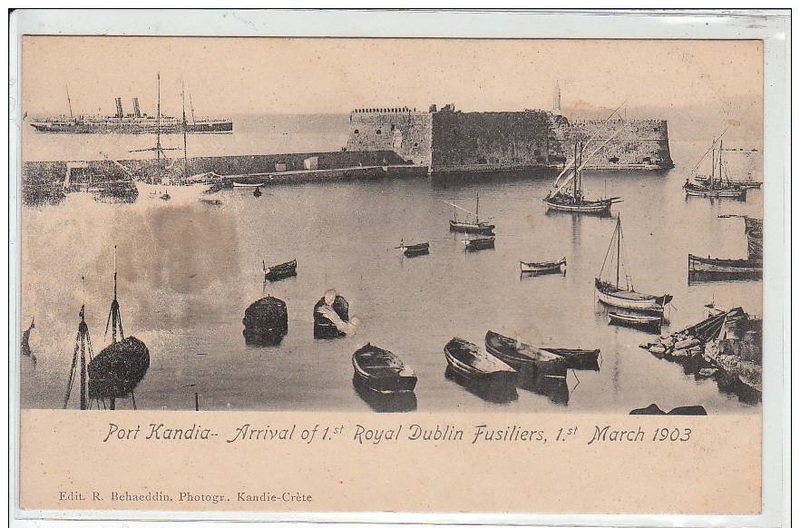 May | 2014 | The British in Crete, 1896 to 1913. 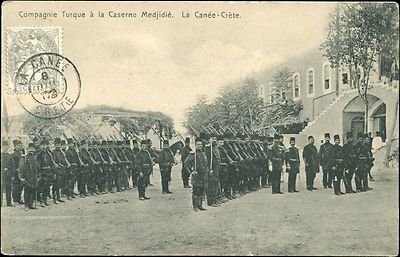 Photograph taken prior to November 1898 when all Ottoman troops were ejected from the island following their failure to intervene in the massacre of 6th September in Candia (Iraklion) – 17 British troops and several hundred Cretan Christians were killed on that day. 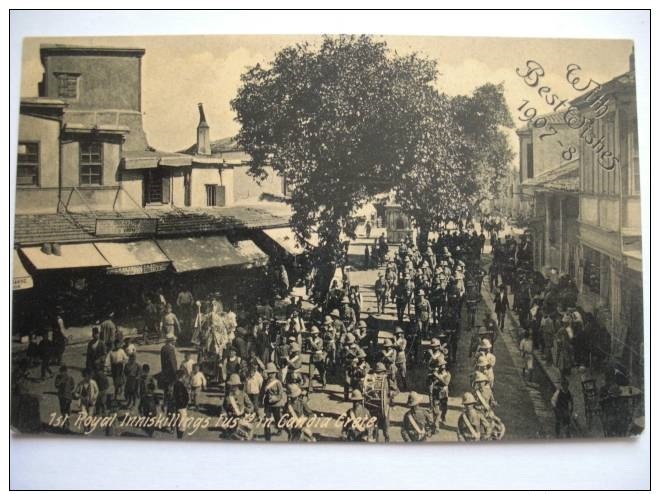 This entry was posted in Ottomans in Crete and tagged Ottoman soldiers, Ottoman troops on May 27, 2014 by Mick McT. 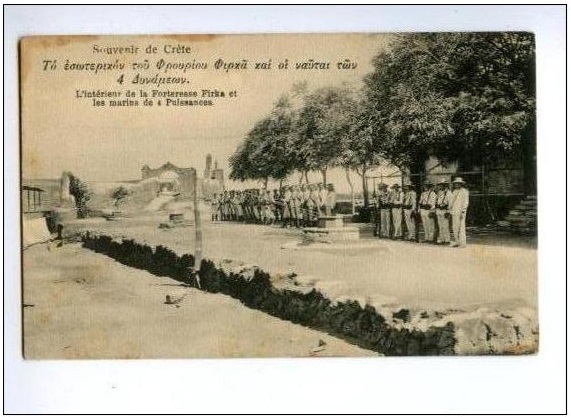 This battalion were Crete between May 1902 and March 1903. 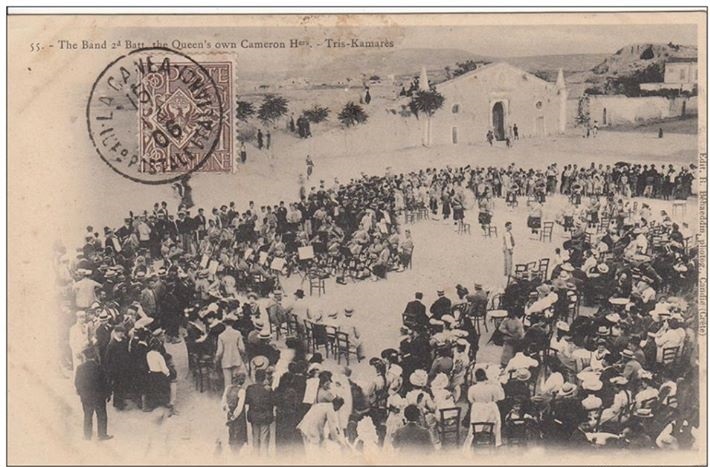 Starting in November 1898, the British Army put on a public band concert in Candia (Iraklion) Town Square every Wednesday between 3p.m. and 5p.m. Presumably to scare the natives into submission. This entry was posted in British Army in Crete, Cameron Highlanders, European Intervention Crete and tagged Army bands, British Army, Cameron Highlanders on May 18, 2014 by Mick McT. Marines on the Firka. Canea. Probably early 1897 since most marines/naval troops were replaced by army contingents in March that year. This entry was posted in European Intervention Crete and tagged Crete 1897, International troops, Marines on May 7, 2014 by Mick McT. 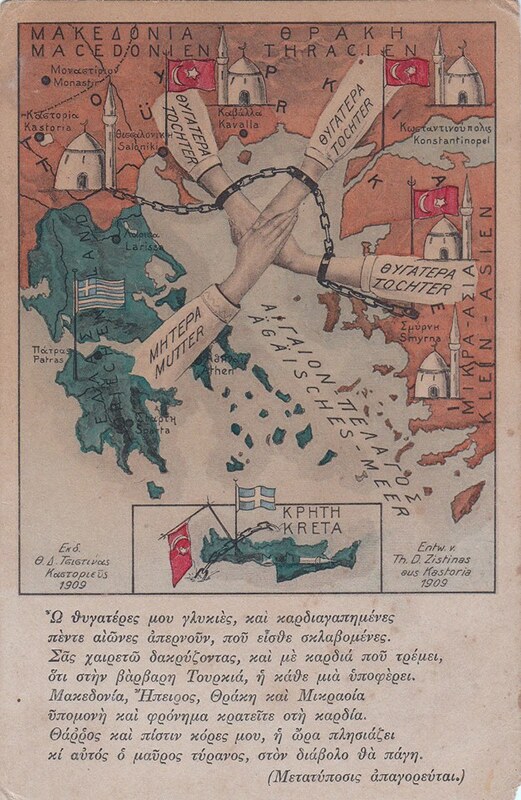 Greece as a mother with her daughters still in chains. This entry was posted in Uncategorized and tagged megali idea, propaganda on May 4, 2014 by Mick McT. 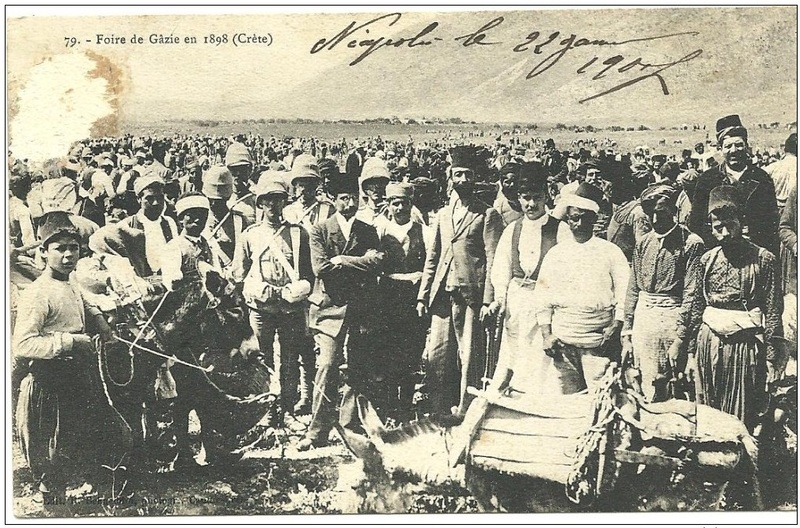 As part of the process of trying to stop the Cretans killing each other the British organised a series of markets outside Candia (Iraklion). The first was attended by several hundred people but the only thing to buy was some oranges. 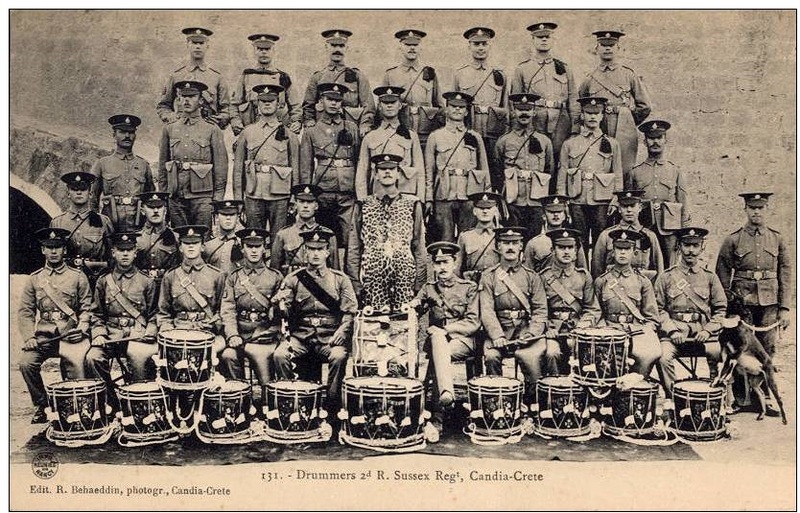 This entry was posted in British Army in Crete, European Intervention Crete, Royal Welsh Fusiliers and tagged British Army, Crete 1898, Royal Welsh Fusiliers on May 4, 2014 by Mick McT.